OK I finally managed to make my DS3 work with the bluetooth dongle somehow. I assume vibrations don't work over BT? They do with USB. (07-11-2014, 02:50 PM)Nokiaman Wrote: [ -> ] OK I finally managed to make my DS3 work with the bluetooth dongle somehow. I assume vibrations don't work over BT? They do with USB. 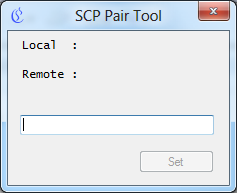 Also the ScpPair tool is always blank. Am I missing something? Wanted to try it with my Android phone. My DS3 was working perfectly before I attemped this. My Bluetooth dongle arrived, I plugged it in, and ran the SCPDriver install again while the controller was plugged in. No luck. Kept installing and uninstalling until my DS3 just stopped working and perpetually had the first red light on, indicating it thought it was connected, despite me completely removing it from my computer (no USB cable or BT dongle plugged in). Today I plugged them both in again, did an uninstall and force install. Controller worked again normally (With USB cable) but still not with the Dongle. Not really sure what to do at this point. I had to use Zadig and replace the BT driver, because my dongle isn't supported or something. Works fine so far. That might be the case with me. Can you explain how you used Zadig on the dongle? Do I install the SCP driver first, then install the Zadig one? Do I uninstall everything then install the Zadig one, and only install the DS3 drivers but not the Bluetooth drivers? Find the BT dongle in the list. Be careful not to select anything else. It might screw up things. Then it should work, but if it doesn't try to connect DS3 to USB and disconnect it. I have no idea why, but it sometimes works. ScpMonitor will show if it's connected via BT. The driver you use is WinUSB (v6.1.7600.16385) correct? I installed the drivers without a dongle and the controller works fine. but I lost the BT connection with any other device. How can I fix the bluetooth again? can I uninstall the BT drivers and reinstall them again using the accompanied driver CD? I'm asking before actingcause I don't wanna make another mistake and make it worse! (07-11-2014, 11:40 PM)NeverGuess Wrote: [ -> ] The driver you use is WinUSB (v6.1.7600.16385) correct? Indeed. I replaced it by that and it worked. (07-12-2014, 01:13 AM)SolidSephiroth Wrote: [ -> ] I installed the drivers without a dongle and the controller works fine. but I lost the BT connection with any other device. How can I fix the bluetooth again? can I uninstall the BT drivers and reinstall them again using the accompanied driver CD? I'm asking before actingcause I don't wanna make another mistake and make it worse! If you want to use DS3 with BT you have to dedicate the dongle for that. It can't be used for anything else. If you want to restore it try going into Device Manager and uninstall the BT driver with checking the box delete driver or something. System Restore works 100% if you don't want to mess with stuff.